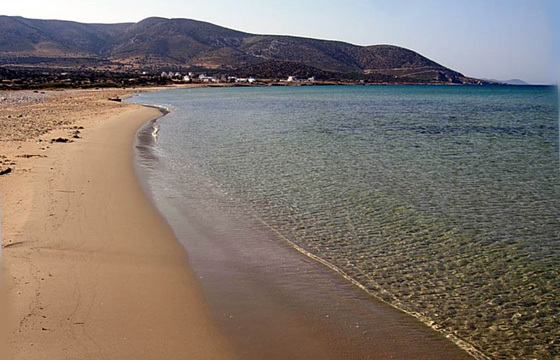 Ayiassos is almost the southest part of Naxos at about 25km from Hora and a very good choice for families. Ayiassos was the spot where Marcos Sanoudos, the Venetian conqueror, disembarked in 1207 A.D. The settlement is a quite sea side village with several studios and restaurants. The public transport is poor but the beach is rewarding: warm, shallow waters and golden sand with several natural firths all over the coast. A private vehicle is essential to access the beach.